User education is one of the most powerful ways to increase engagement and retention at scale, yet is often put in the too hard basket, leading to incomplete or outdated help docs and a missed opportunity to nurture a new user. Or perhaps you've nailed your content... but your users aren't able to find it easily enough. All your hard work, for nothing. We know, we've been there too. So, we did something about it. 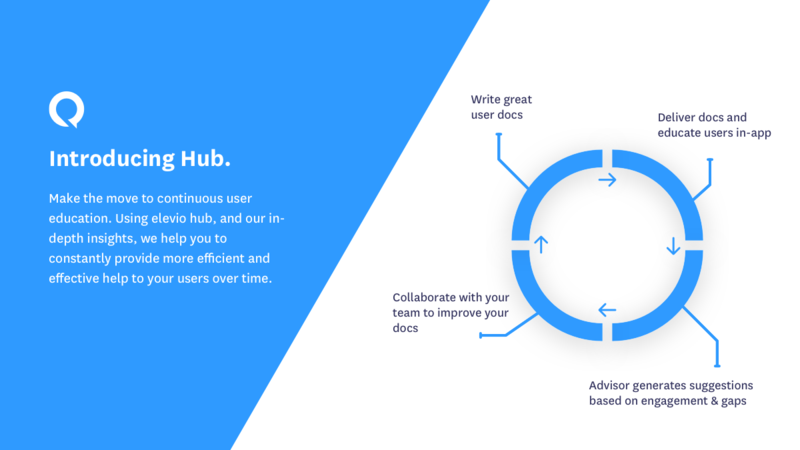 Hub is the smartest and simplest way to keep your user education in peak condition, to be sure you're keeping your content fresh and avoiding content rot. We do the heavy lifting to make sure your docs aren't underperforming, lacking, or doing more harm than good. You'll wonder how you ever managed your content before. With a layout and flow just like an email inbox, you'll be right at home. 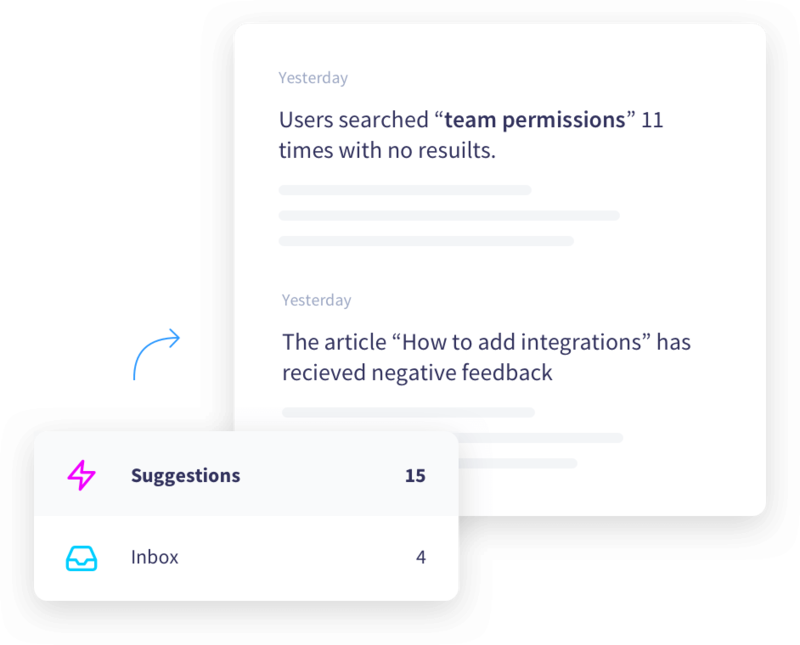 Each time a user provides feedback on an article, or we find something that we think you could improve, we'll add a new card to your inbox for you and your team to organise and complete. 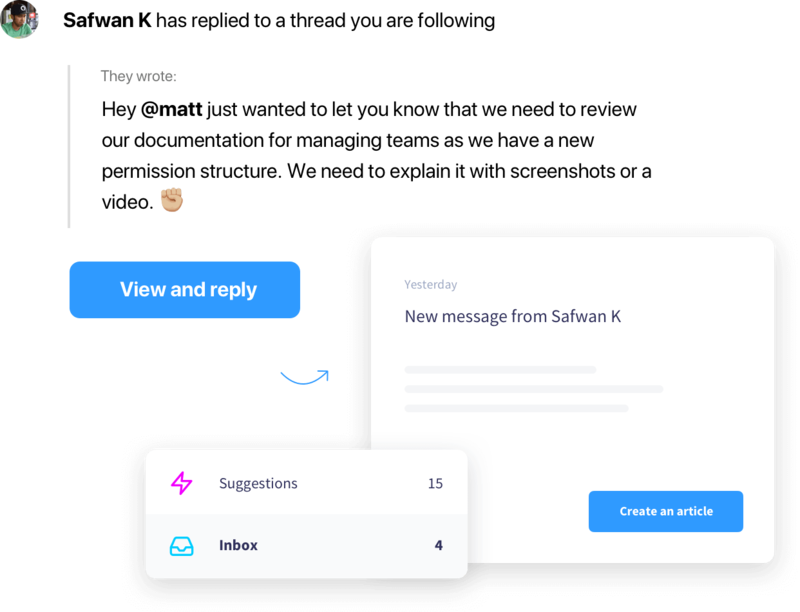 Or of course, create new cards as you see fit from a range of sources like Slack, email, or Zapier connections. It's like having another person on your team always going over your content looking for ways to optimize. To help you quickly move through your cards and get back to work, everything you need to know about is available in the main card view. See the status, who it's assigned to, and any addition notes from your team members to help get the job done. Assign cards to others on your team to help spread the load, and get topic experts to work on the articles that they are best suited for. They'll receive an email to let them know there's something that needs their attention. 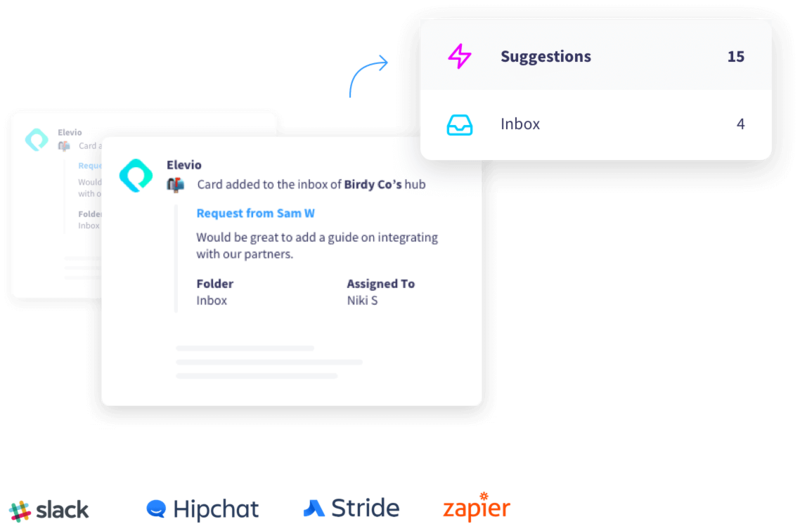 While advisor will create cards intelligently for you, you can create cards from a range of sources like email, Zapier, Slack, our API, etc. 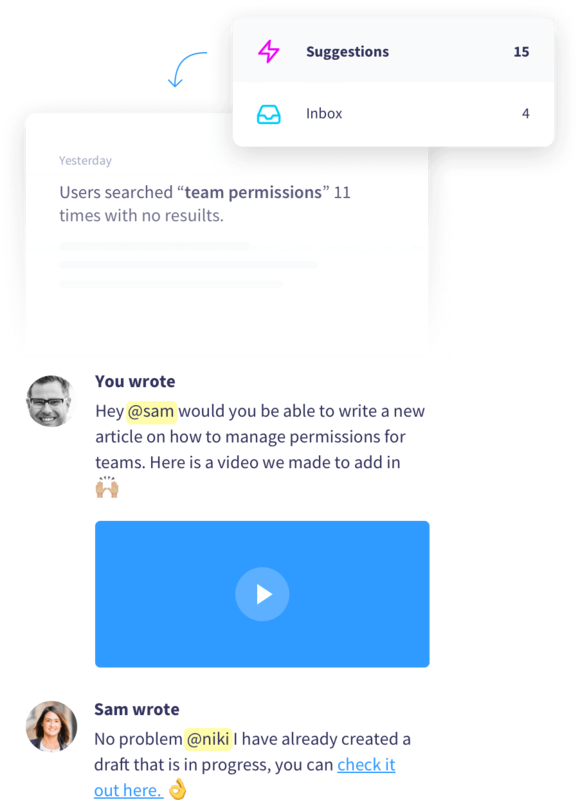 We're just scratching the surface, and have plenty of ways that we aim to extend and expand the team inbox, but would love to hear your suggestions. Elevio hub is available, on all plans. Check out the product page for more information, or get started with elevio, free.